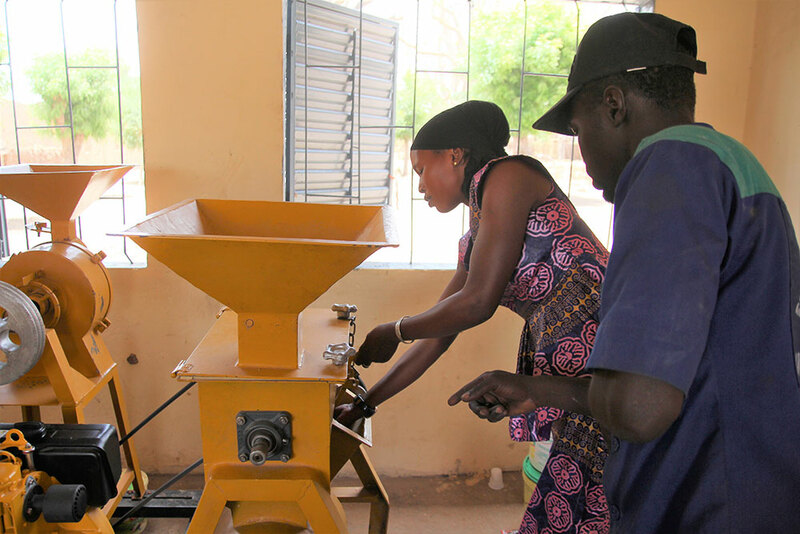 From May 4-8, 2017, SPRING/Senegal trained all six partner networks in Senegal on the technical and business elements of operating and maintaining machinery to process cereals like maize and millet. 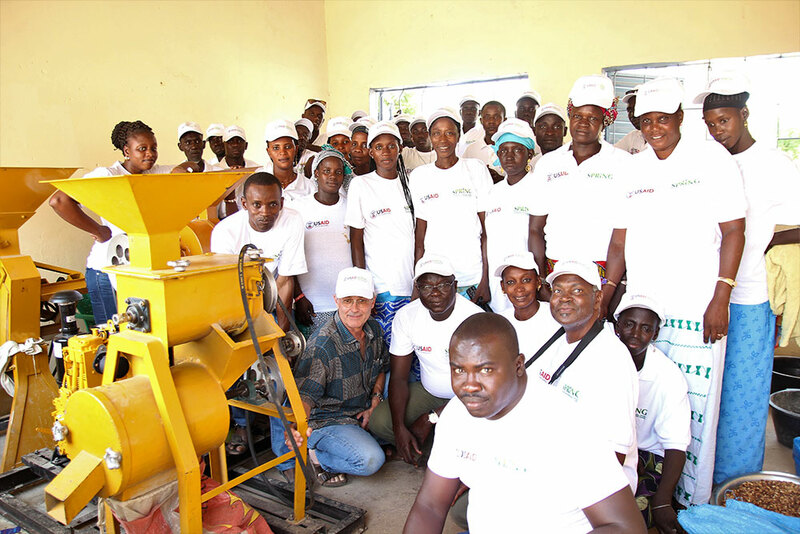 SPRING/Senegal purchased 12 multi-function cereal processors and distributed two to each agricultural partner network. 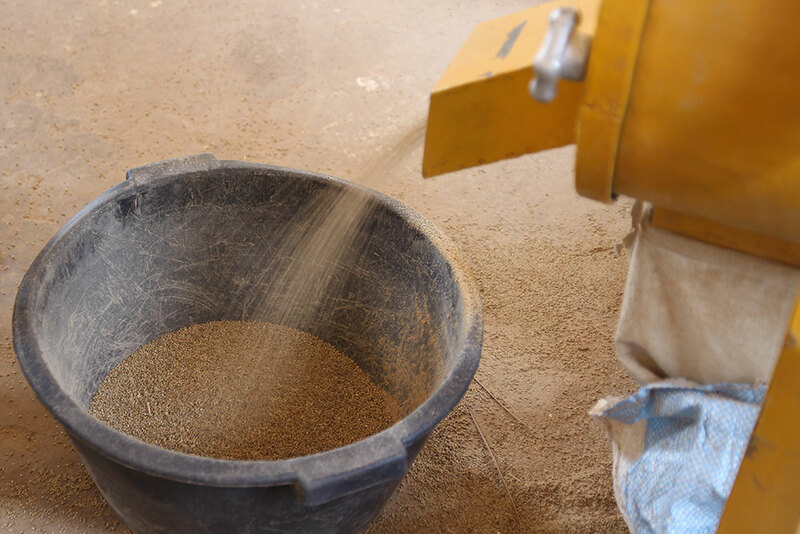 The 3-in-1 machines shell, grind, and crush cereals, tasks traditionally done by women using a mortar and pestle. 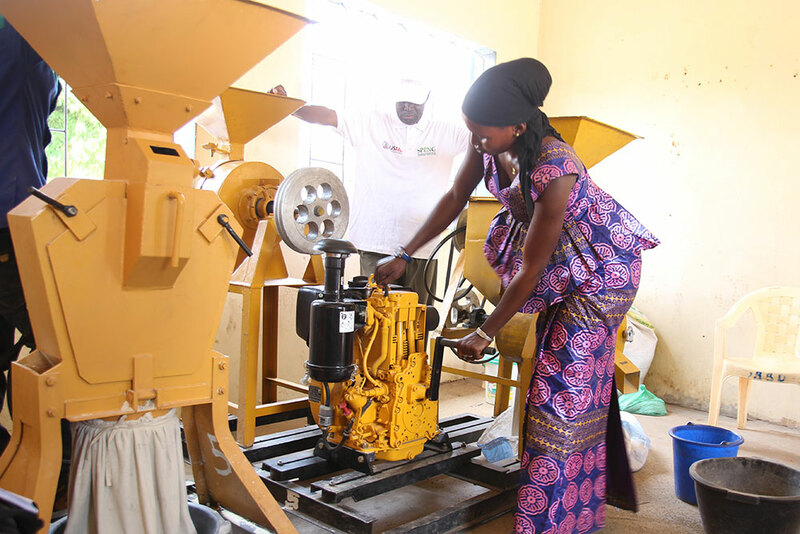 Providing partner networks with machinery aims to reduce women’s post-harvest workload, increasing the time, energy, and money they have to devote to good maternal and child nutrition. 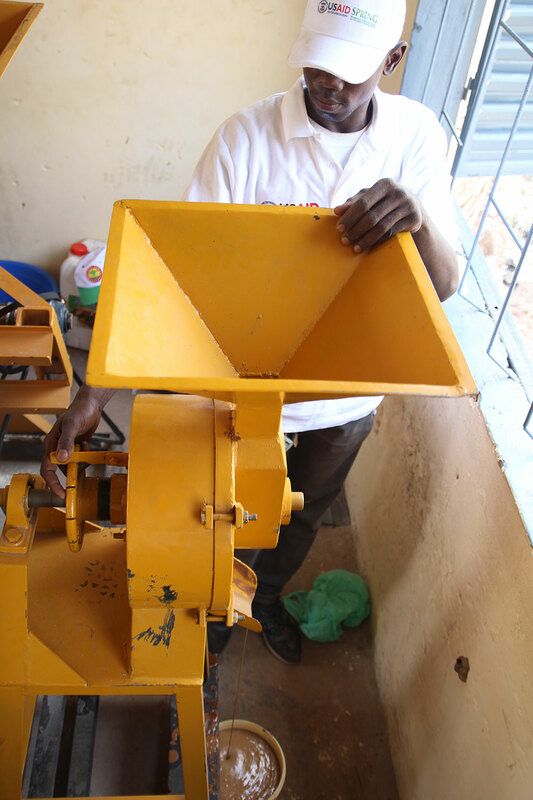 One of the 12 multi-function cereal transformations that SPRING/Senegal purchased and distributed to agricultural partner networks. 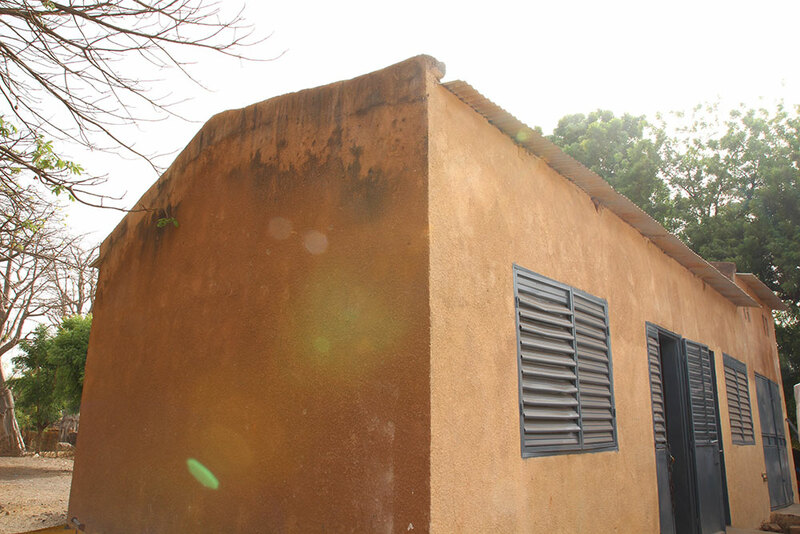 SPRING’s agricultural partner networks constructed the buildings where the transformation units are stored. 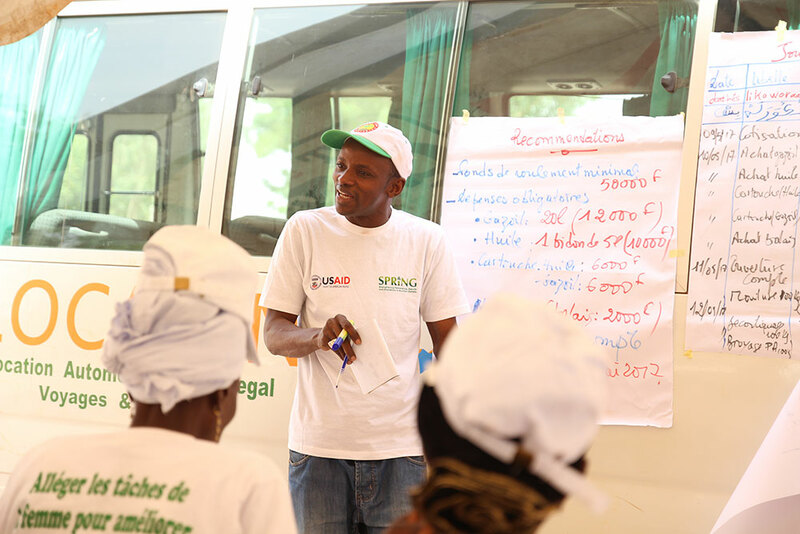 SPRING/Senegal Agriculture/Markets Officer Mamadou Ba explains finance, operations, and maintenance for the processors. 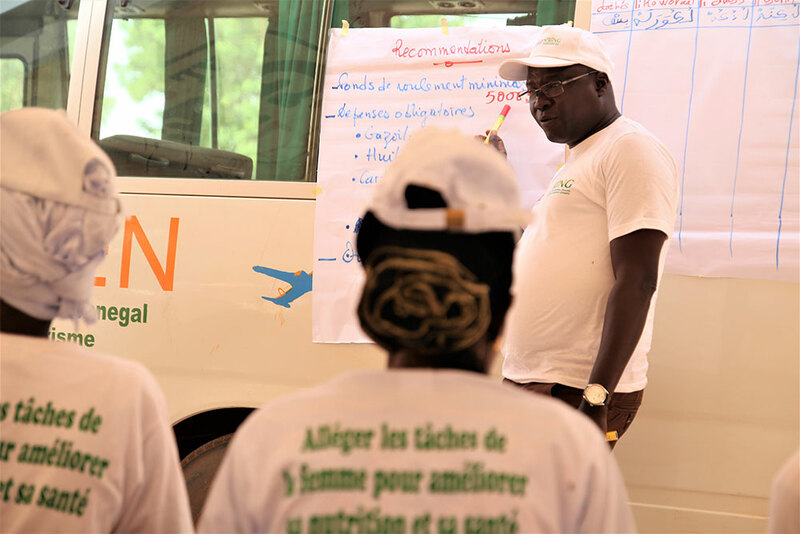 Aliou Babou of SPRING/Senegal helps participants understand the financial aspects of the operation and maintenance of the transformation units. A trainee practices starting the motor of a cereal processor. A technician from Hydro Bati Mec (HBM), the farming equipment company that supplied the processors, teaches a participant how to use it. 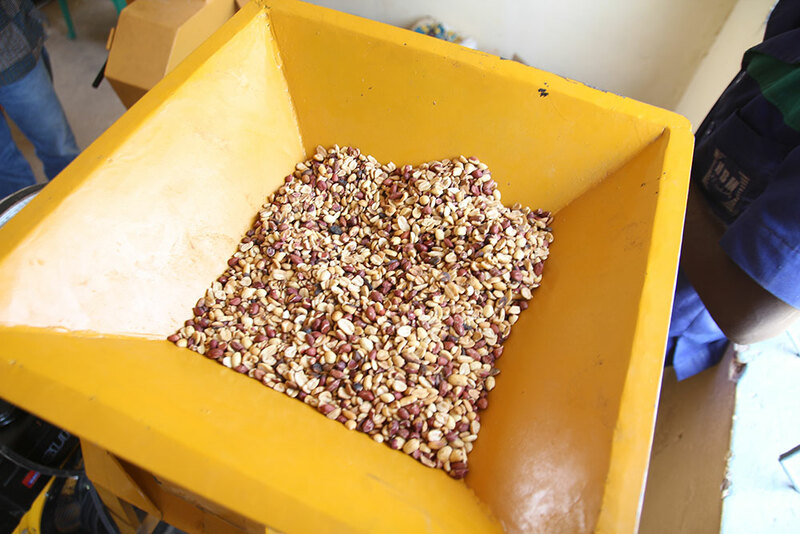 Groundnuts (peanuts) are loaded into the crusher section of the 3-in-1 processor to be blended into peanut butter. Peanut butter is collected in a bucket. 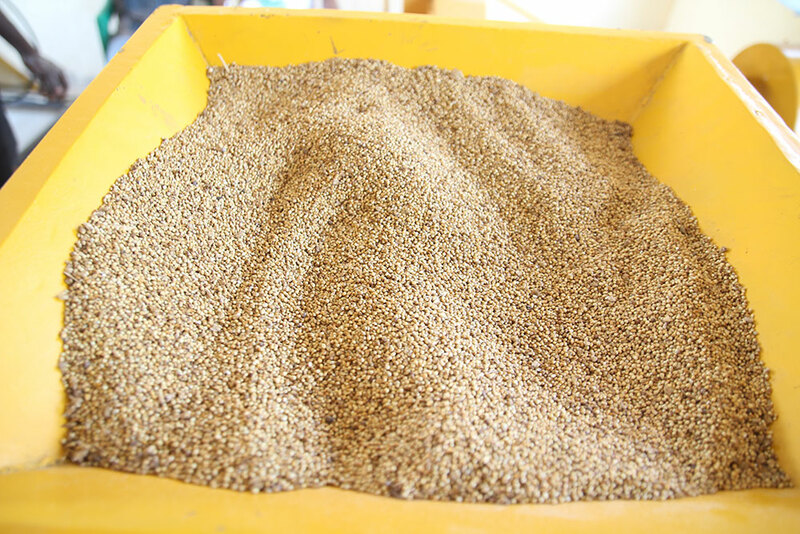 Bio-fortified millet is loaded into the processor for shelling. 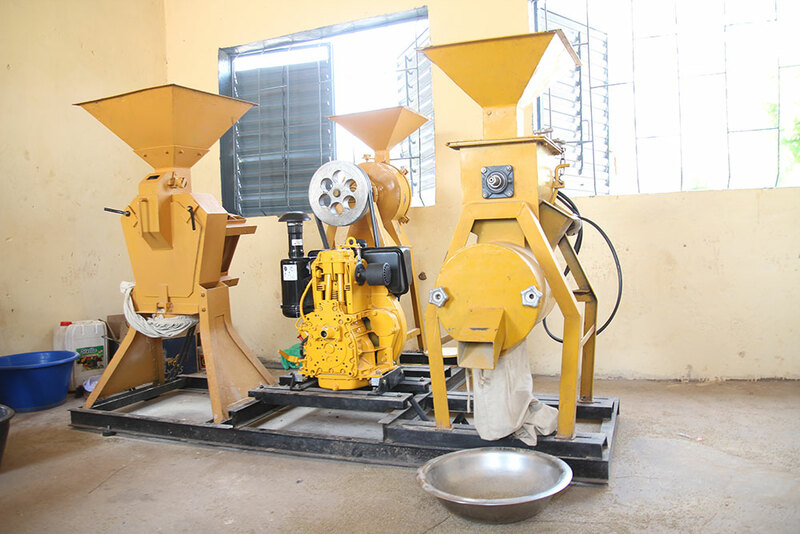 The processors shells bio-fortified millet in minutes. Women spend hours or days to do the same work by hand. 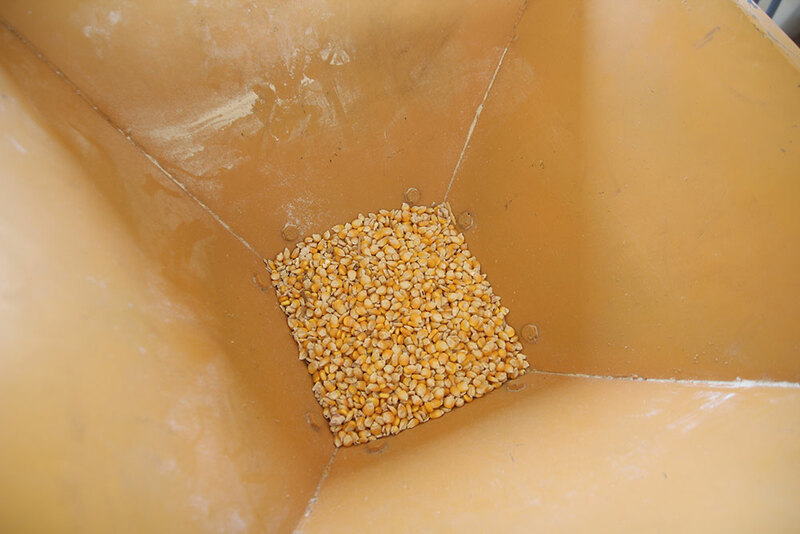 Maize sits in the processor waiting to be milled into flour. 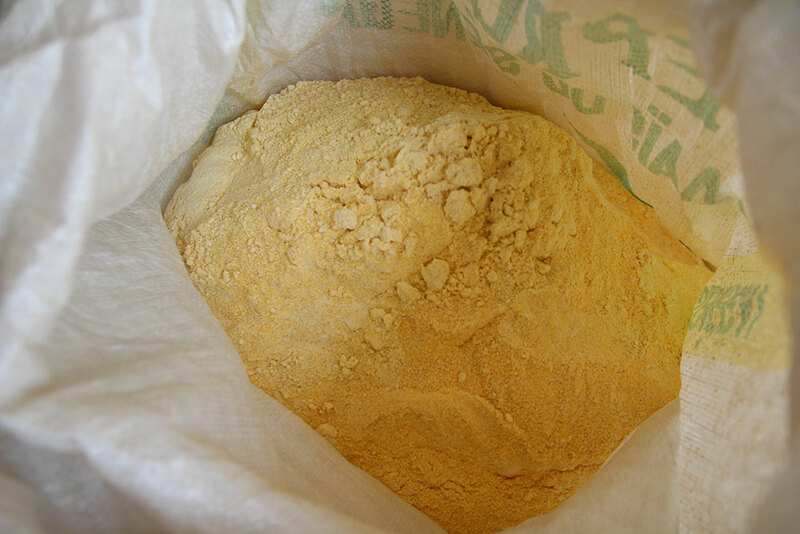 Bio-fortified maize flour can be used in place of regular flour in all dishes. Women traditionally spend long hours to make flour from maize by hand. 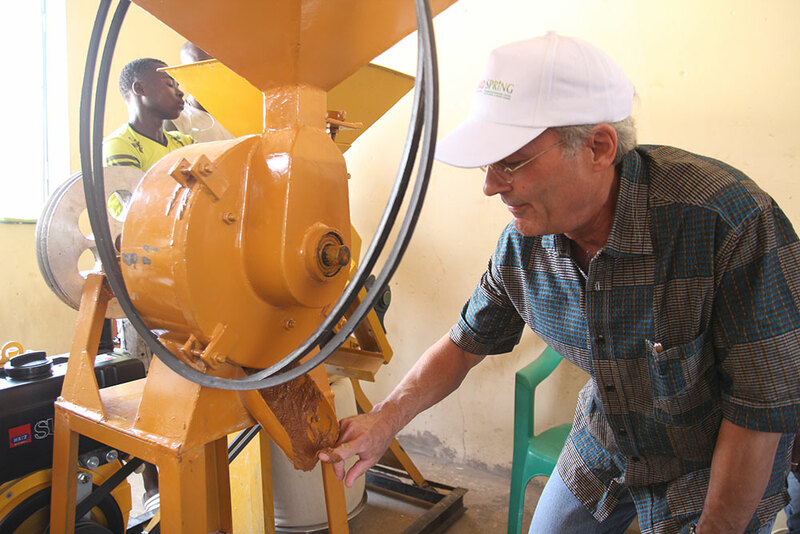 SPRING/Senegal Chief of Party Bob de Wolfe tests the freshly-churned peanut butter. 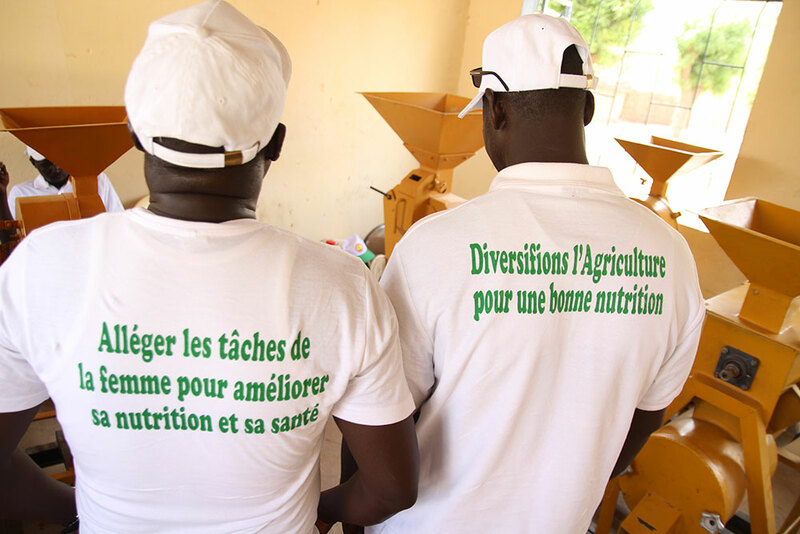 Trainees from the partner networks show off t-shirts bearing key messages about gender and nutrition. Left: Reduce women’s workload to improve nutrition and health. Right: Diversify agriculture for good nutrition. Participants and trainers pose for a group photo.